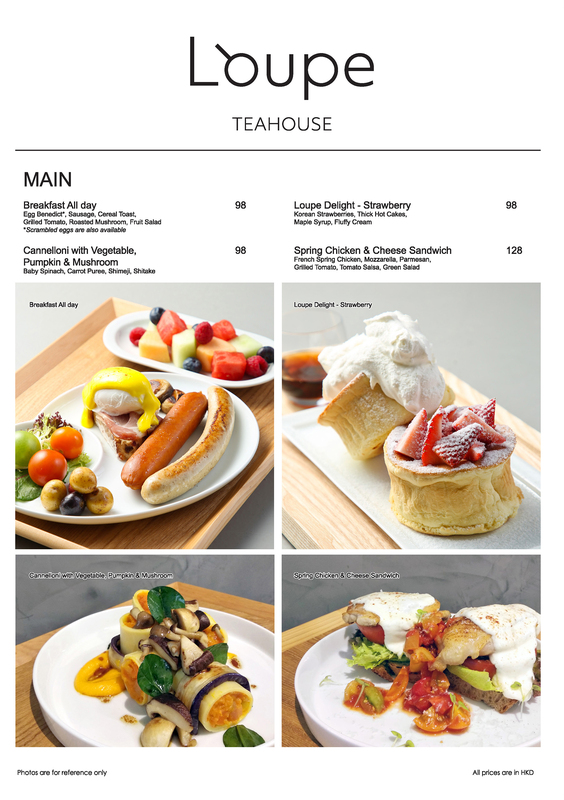 Enjoy the best of Western and Japanese cuisines served at the teahouse. 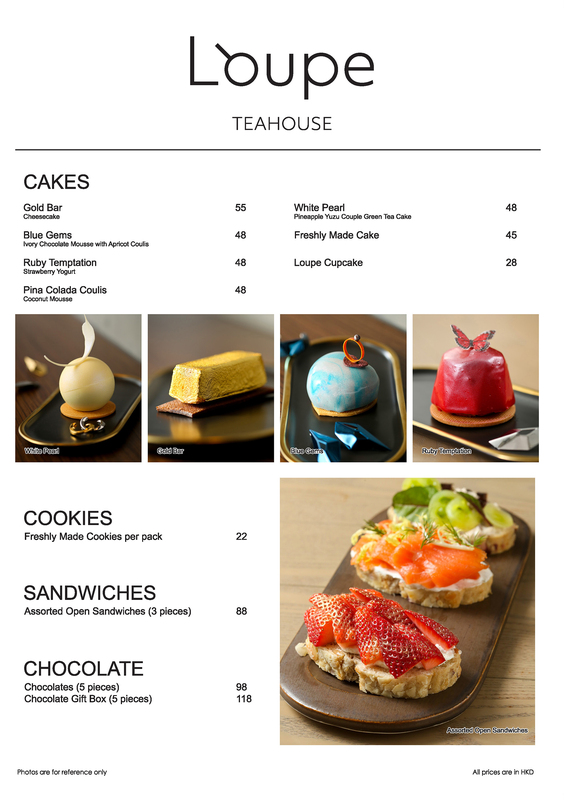 Here, you can give yourself a moment of respite and savour a selection of premium teas, special mocktails, pastries and cakes inspired by the art of craftsmanship. 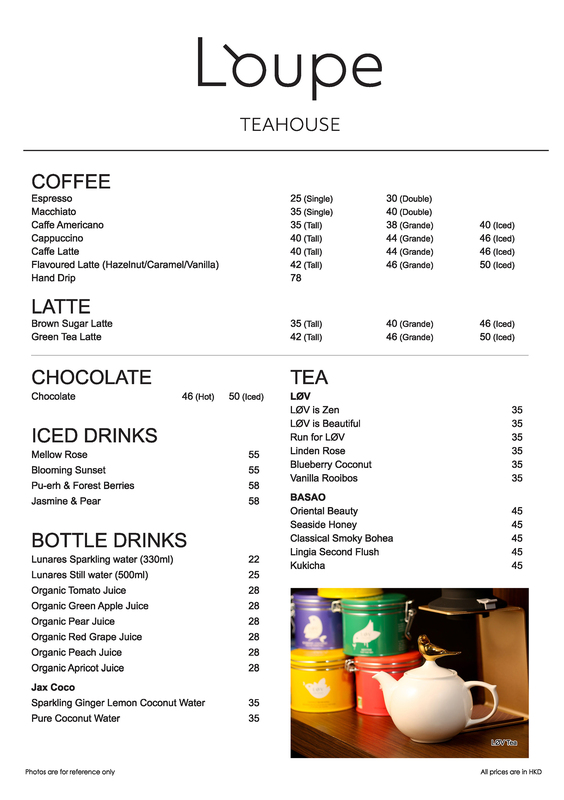 Our selection of imported French organic teas, including “LØV is Beautiful” and “LØV is Zen” which are exclusive to Loupe, will delight your taste buds with elegant, mellow floral fragrances and delicate traces of sweetness. 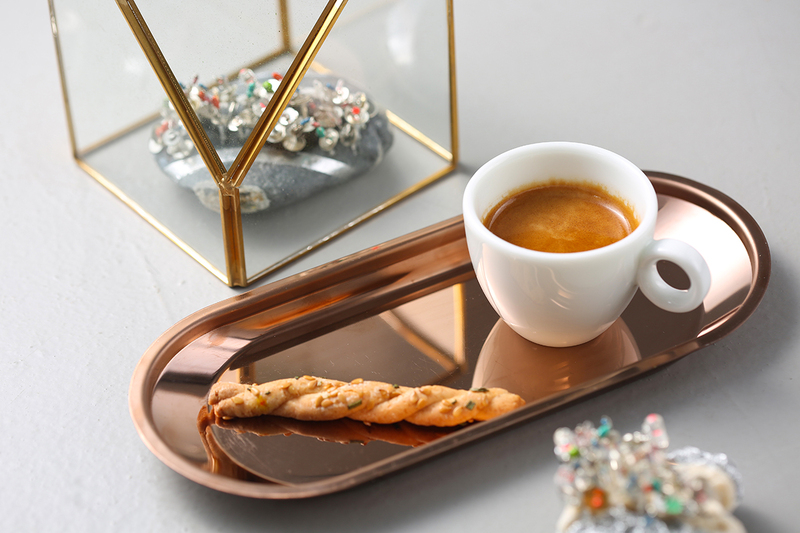 Take some time out during your relaxing afternoon at Loupe to try out our aromatic coffees, each crafted from blends specially prepared by local brand Bloom. It is said that the beans are roasted by Moses Chan himself! 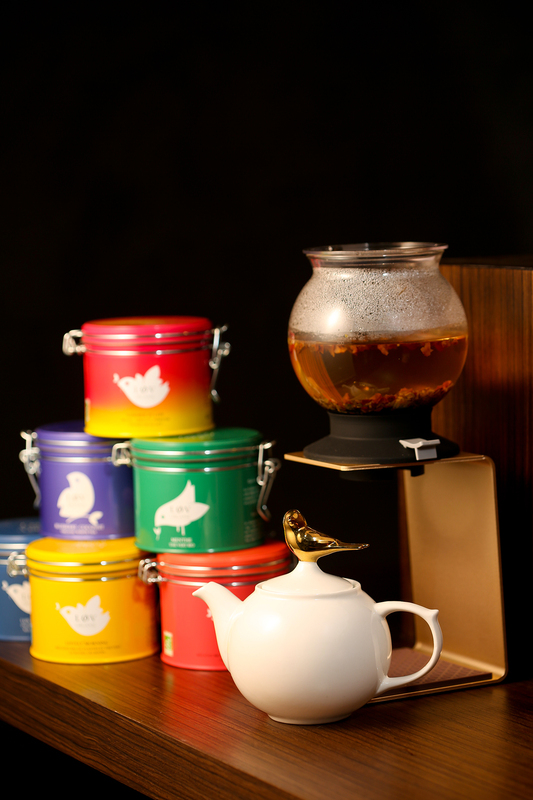 Every cup of coffee is served with a Rosemary Twist adorned with golden linseeds, infusing a hint of rustic charm. Personally prepared by Loupe’s head chef, all our dishes utilise fresh ingredients sourced from local organic farms. 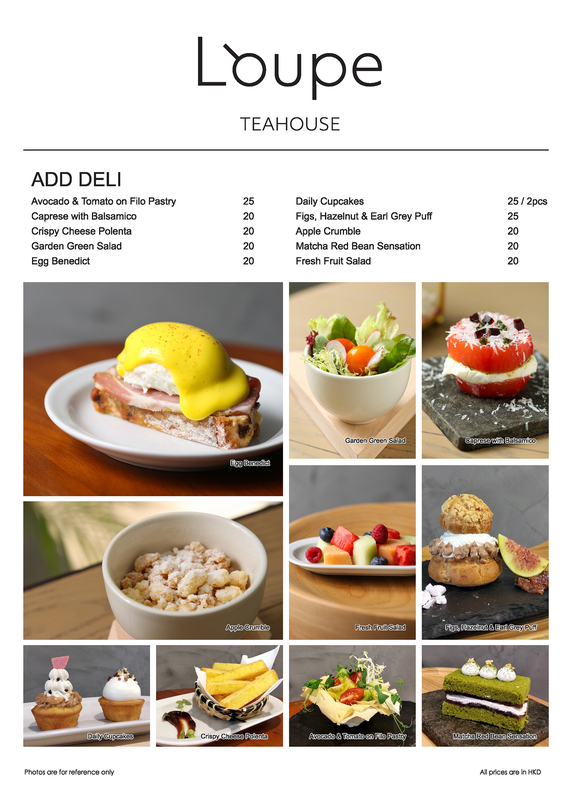 Our menu features cuisines from four different countries, enabling you to create gastronomic combinations that best suit your appetite. Tender spring chicken and crispy tomatoes, layered on the chef's daily bakery selection; melted cheese tops the stack, completing it with buttery flavour. 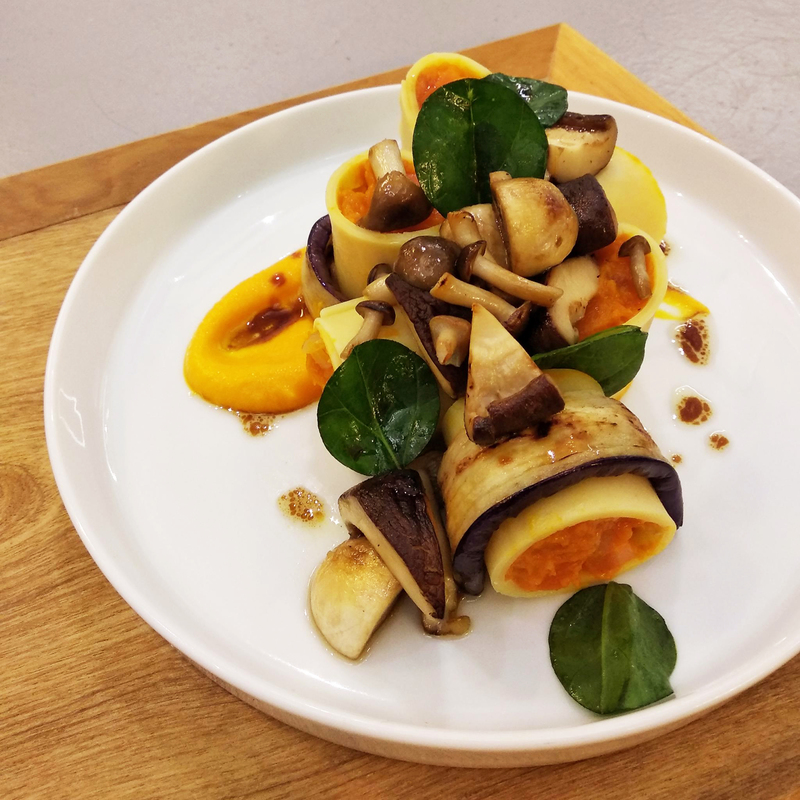 Mellow puréed pumpkin roll wrapped with grilled eggplant and accompanied with rich-flavoured mushrooms. Together these simple ingredients bring lingering sensation to your palate. 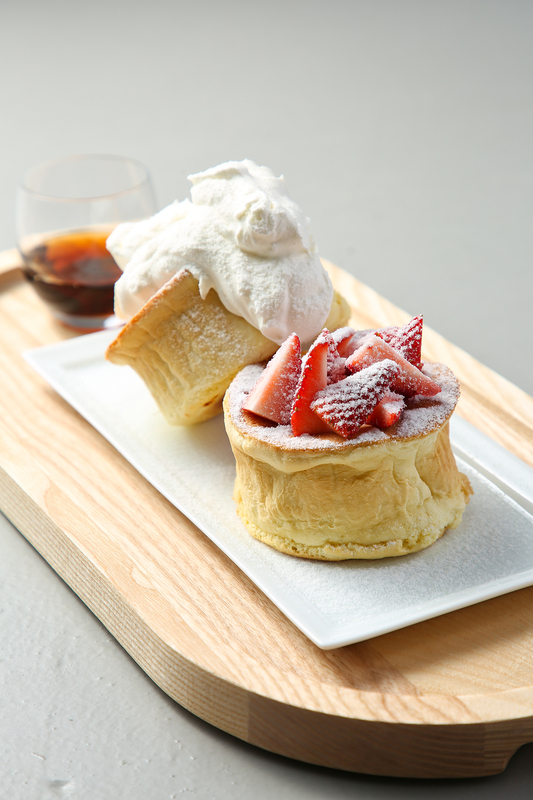 Our fluffy, eggy pancakes, served with Korean strawberries and whipped cream, are guaranteed to take you to Seventh Heaven. Each of our bedazzling desserts tells a story of jewellery craftsmanship, enabling you to feel the artisans’ focus and passion with your palate. This cheesecake wrapped in gold leaf symbolises the advent of pure gold jewellery. The flavour packed in this shimmering 999.9 bullion bar is worth its weight in gold. An apricot mousse cake covered in glistening white chocolate, accompanied by an adorable ring, this dessert represents sincere affection. Meticulous craftsmanship has given rise to this strawberry gem cake. Butterflies drawn by its sweet and tart aroma hover and frolic nearby. 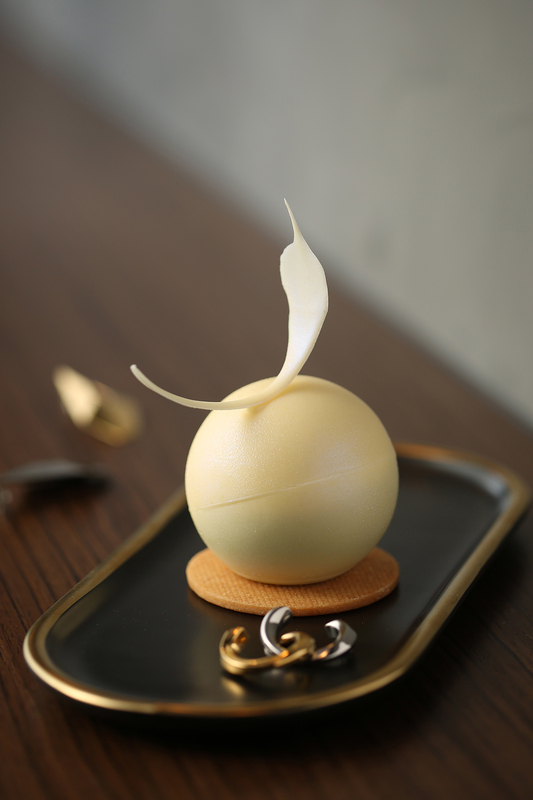 The combination of green tea, yuzu citron and pineapple creates a flavour unique to this pearl cake. It is also a metaphor for the jewellery industry’s spirit of heritage – the anticipation of awaiting the talent within the shell to reveal itself and create treasures that dazzle like the pearl.